Vexing Gatekeepers of the Status Quo and Bringing Truth and Reality to the People. If You Hate Hearing a Voice for the Voiceless, Find Another Blog and Get a Life! Salem-News reopens case, and the facts we have discovered are more than disturbing as an outlier of justice, they are disgusting and uncivilized. 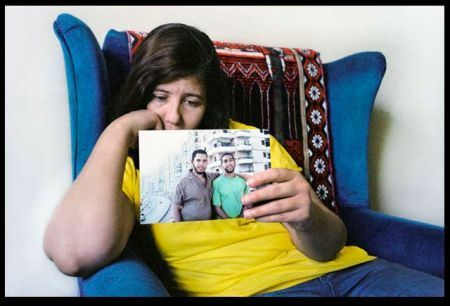 Laila Yaghi holds a picture of her son, Ziyad Yaghi, whose sentence to three decades in prison is a textbook example of unbalanced injustice in the United States today. There are sad moments etched within the history of many profound nations where the innocent amongst its citizens becomes the victim of uncontrollable political circumstances surrounding them. They may find themselves or loved ones incarcerated, deported out of a country, tortured, etc. These are the tragic tribulations humankind suffer in the world of unfortunate complex politics that we live amidst. As a result of the War on Terrorism immediately following the September 11 attacks on the World Trade Centers, we have such poignant stories as above where the paranoia, fear, and hate of mass hysteria in search of an ideology implanted within an unseen enemy have caused the commonplace American to forget the salient principles in which the world has admired all of us for centuries. The War on Terrorism has created a breeding ground wherein racists, political pundits, religious zealots, and more have been the catalysts of impregnating the general American mind with detrimental emotions and thoughts that challenge those founding principles while simultaneously causing or participating in acts of injustice upon innocent Samaritans. The aforementioned exploitative and enthralling antagonists would have never ascertained such proliferating popularity in the media or in positions of employment and authority, had such tragedy not struck the shores of Lady Liberty. The question which America must answer in the future is when will we annex America back from those cretins? The case of Ziyad Yaghi, a Jordanian derived Palestinian American, is a true litmus test of the declaration we Americans made in the birth of a dream others in the world have been aspiring to achieve with us throughout millennia. That dream is a world of peace wherein the pursuit of happiness, the equal value of life, and the privileges of liberty may touch the lives of each and every human creation of God. The world wishes not to admit they are foolish in sharing our dreams by witnessing hypocrisy from this dream’s progenitor. They don’t want to submit to the overwhelming power of ignorance within the halls of the American government today. The foundation of America is sound and hopefully will endure, and therein lays everyone’s hopes that minor damages can be reversed or attenuated. However, the acts of a few imbeciles threaten those pillars today. This is the path America and the West has been traveling after the contretemps of 9-11. There are auguries or terrible signs of an uncomfortable future or trembles from the ravages of the pillars of America’s values which we all are witnessing. Those auguries are present in her floundering economy, volatile society, confusing and corrupt politics, the belief of the world audience to the implausibility of American and Western media, and more which perceptive minds warned would proliferate before the War on Terrorism, yet these ominous exhortations were and are still not heeded. Ziyad Yaghi is a victim, not only because he is innocent of the charges against him, but because our silence allowed it. 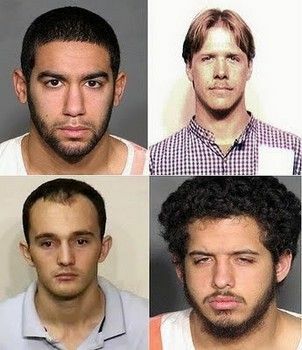 Ziyad Yaghi was arrested in July of 2009 with six others for conspiracy to commit terrorism abroad and consequently stood trial in New Bern, North Carolina. The US government claimed that he traveled to Jordan to engage in a scheme of terrorism. They also claim that he participated in a single paintball trip in order to train to be a terrorist. After a media frenzy which would best be described as modern Yellow Journalism, he was found guilty on the most specious and dubious of evidence. Consequently, he received 31 years in solitary confinement while others accused with him, with far more evidence against them, received lighter sentences. Ziyad Yaghi refused to violate the principle of Islam that demands a Muslim to not lie and so he remained silent when the FBI demanded he testify against the leading suspect in this case, a person Ziyad barely knew. Salem-News and team have reopened the case to an independent and discreet investigation. The facts we have discovered are more than disturbing as an outlier of justice, they are disgusting and uncivilized. We are absolutely sure this young man is innocent of the charges levied against him, yet a court in North Carolina, somehow, judged him guilty. “I’m sorry but this conviction sets off all of the bells and whistles. It is reminiscent of the alleged ‘Christmas Tree Bomber’ in Portland, Mohamed Osman Mohamud, whose entire ‘crime’ was set up by federal agents preying on a system of religious beliefs. In that case, media and government critics accused the FBI of using entrapment to conduct the arrest. 1) Out of 750 hours of tape recordings by informants of the FBI, Ziyad Yaghi was on none of them. 2) The gentleman who had the most proof against him, the ringleader named Daniel Boyd (as the media portrayed him), turned state’s evidence during the trial and agreed to cooperate with the FBI in a plea bargain. During the trial and following this agreement, he testified in front of everyone that Ziyad Yaghi had no knowledge of any plot to commit terrorism. 3) Ziyad Yaghi stated he traveled to Jordan to get married. The US government refused to believe this motive, yet his narrative has been verified by the former potential bride in Jordan via interview. Ziyad’s story does check out. 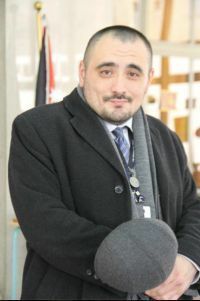 4) Although Ziyad Yaghi’s Facebook profile is set to private, a vigilante racist web blog titled the Jawa Report posted screenshots and photos of Ziyad Yaghi’s Facebook account. The Jawa Report has a long history of working alongside media establishments and the US government in arresting and prosecuting suspected terrorists. The YouTube account of The Jawa Report indicates the author has an antipathy toward all Muslims, Palestinians, the Occupy Movement, and anyone that challenges the US and Israeli government status quos and foreign policies. We believe that the Jawa Report was the conduit for what many suspected the US government was doing with Virginian Brandon Raub’s Facebook account, the former Iraqi War veteran who was arrested by the US government for inflammatory yet patriotic Facebook posts, which is we believe the Jawa Report was spying on Facebook accounts like Ziyad Yaghi’s on behest or in corroboration with the US government. 5) At the bail hearing , Judge William Webb expressed his disbelief at the evidence by the North Carolina prosecution stating that code words such as “going to the beach” and “ordering pizza” does not translate into intentions to commit terrorism. Furthermore, the honorable William Webb also publicly commented his disapproval as to the prosecution’s introduction of testimony and evidence without allowing the defense to cross-examine or thoroughly investigate the sources of this information. The prosecution withheld evidence and access to informants alleging security reasons of National Defense as to the need for this secrecy. Moreover, three informants for the FBI were paid $200,000 and given green cards to testify despite overstaying their visas. In the underprivileged areas across America, one could purchase such participation for a lesser cost. It is exigent to reiterate the evidence above concerned the other defendants, nothing of any significant value as evidence was introduced against Ziyad Yaghi by the prosecution. 6) There was no physical evidence of guns, ammunition, or anything of significant and incontrovertible value to augment the accusations against Ziyad Yaghi. All of the ammunition and weapons were found only at the ringleader, Daniel Boyd’s house. Most of the evidence the legal machinery of North Carolina touted within the court room was related to Daniel Boyd, yet applied to all of the defendants because the crux of the North Carolina government’s accusations was an unproven relationship between Ziyad and others with Boyd. The prosecution of North Carolina dissembled to the public that Boyd was the ringleader who was indoctrinating the rest, whom the prosecution described as mindless and naive recruits who did not have the prudence to forsee the implications of their future actions. 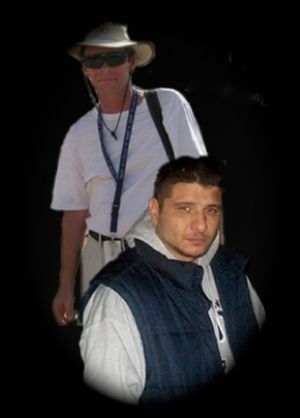 Nevertheless, Daniel Boyd received 15 years while Ziyad Yaghi received 31 years. Ziyad Yaghi stated that he knew Daniel Boyd for less than twenty four hours while others screamed they did not know their fellow defendants at all. 7) The North Carolina court refused to allow the defense to call many of its witnesses, citing the necessity of time constraints for the purpose of reducing the amount of time allocated for the case. The prosecution also called to the stand supposed expert witnesses who testified on their knowledge of Islamic and Arabic terms, while later admitting they could neither speak nor read Arabic. Through a quick glance at the indictments, the terms “Shahid” (witness) and “Shaheed” (martyr), “Jihad”, and “Fard Ayn” were incorrectly defined and applied. How important is this premise? One litigant, not Ziyad, stated in the court room that the North Carolina government recorded him saying the Arabic word for “witness” but they translated and used the incorrect translation of “martyr” against him. Furthermore, the elderly jury comprised of non-Muslims or Arabs who were unfamiliar with the massive amount of Islamic and Arabic terms introduced and explained by the prosecution. One juror was caught sleeping during the trial. discretion, even writing a paper on the relationship between government funding and religious institutions. for nothing more than ideas. 8) Another suspect ignored in the media, Bajram Asllani , has been currently residing in Kosovo near to UN and Kosovo police buildings. The US government continues to demand extradition so he may stand trial with the those individuals mentioned in this article, yet the European Community who has larger authority over the most important cases pertaining to Kosovo have refused this request and have determined insufficient evidence is provided by the US government against this man. If the European courts have publicly declared a lack of evidence to aver a conspiracy, why have Ziyad Yaghi and others been found culpable based on the same evidence? only he holds the elixir of understanding to. Ask questions people! 9) It is reported from an independent investigator’s tape recordings that one of the party involved in the court proceedings made remarks of anti-Islamic sentiments at a party or formal gathering after the sentencing, suggesting a biased stance against Islam during the court proceedings. Moreover, throughout the entire court process, many witnesses testified that the State of North Carolina placed Islam on trial rather than the defendants. The prosecution used videos and pictures of terrorist groups to show the jury with once again, no evidence to prove a connection between those certain groups and the accused. The prosecution claimed that they thwarted efforts by the defendants in committing terrorism abroad and their primary proof was that the accused had “the ideology” (as several officials on the prosecution’s side was quoted) to commit the acts. The ideology which the prosecution augmented with evidence was Facebook anti-war posts ripped out of context, videos of Al Qaeda in other nations, and incorrect translations of Arabic words and symbols which were again taken out of context. 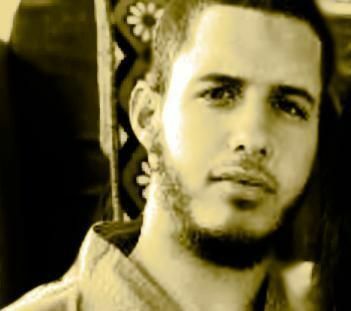 During the concluding arguments, the prosecution held up a picture of Ziyad Yaghi to the jury after showing videos and pictures of AL Qaeda, while repeating several times slowly verbatim, “US government versus Ziyad Yaghi,” in order to leave a lasting impression of us (Americans) against Ziyad (the terrorist). 10) The US government made the absurd and unfairly applied assumption that Ziyad Yaghi’s single trip with a few of the other defendants to play paintball, was in fact a military training exercise. 11) The narrative of the FBI in regards to this case is severely questionable. At first, the FBI claimed that the defendants Daniel Boyd and a few others except Ziyad, were intending to target a military base at Quantico, Virginia. Then the story changed to the final version that they intended to attack others abroad. Worse, the defendants including Ziyad Yaghi, were all found guilty despite the fact that the specific target, date and time, and location were not provided by the prosecution. In other words, in an action that replicates the movie “Minority Report” starring Tom Cruise, Ziyad and others were found guilty for no acts of terrorism or violence, but only by the claim of the North Carolina prosecution that the defendants would have committed the acts. The above detailed facts augmented by the vocal opposition by two judges should be enough to convince the perceptive of thought and kind hearted to drop all charges against Ziyad Yaghi, to the average human of intellect and absent of heart, it should at least appear to be a grave injustice if this case were not reopened for a second trial. “People need to wake up and realize that this war on terror is fake! It is made up by the FBI so our country can continue the atrocities they are doing overseas! It is undeniable that some within the US government, purposely and maliciously prosecuted innocent defendants to further the financial funding and American domestic support of the War on Terrorism and also to jumpstart their own careers, by manipulating and exaggerating insignificant and small facts, while concealing others, in order to persecute a group of innocent Muslim Americans. And in consequence of this action, indirectly and simultaneously and unknowingly conspired with the Islamophobic and anti-Islamic sentiments of a few involved in the due course of the prosecution of this case. We feel the correct and just course of action, in consideration of the facts above, is the re-opening of this matter to an unbiased arbitrator with a true representative jury of peers for the defendants, and with a larger audience – the international media. Counter-terrorism pundit, Evan Kohlmann once stated, with no question as to the veracity of this specific claim, that the best arsenal of those who oppose the United States is the instruments of propaganda we ourselves supply in cases such as torture at Abu Ghraib, the burning of Qurans and releasing of anti-Islamic films despite no reciprocation of such barefaced debacles by the Muslim population of the world, the opposition to the building of a mosque at Ground Zero to symbolize America’s will to accept its Muslim American constituents and the desire for future peace on both sides of the Atlantic Ocean, and more. We can include Ziyad Yaghi’s case and other cases of preemptive prosecution to the stack of verbal RPGs, Kalashnikovs, or WMDs that Kohlmann speaks about. If speaking truth against injustice, an important proverb of Islam, is considered terrorism, then we the people of the world should ask an important query. May we continue to breathe, live, and think within our own discretion and religion and non-violent principles or shall we submit those inalienable rights given by God to the US government in order to avoid the stigmatization of the neologism “terrorist?” Or are omnipotence, power, and life still in the sole possession of the US government and when shall such rights be transferred back to God? This open-letter is inflammatory and pugilistic because it refuses to pull any punches. Why? A comparison of this case’s precedent in history to the articles of the US constitution and Universal Declaration of Human Rights has revealed that there were gross violations of its tenets found in the Ziyad Yaghi case. If the US government persists to allow this anathema to its principles to rest unabridged, then beating hearts and feeling souls within the world, terrorist or non-terrorist humans around the world, described as such divisions or categories of people according to the Zoroaster type Manichean mentality of overgrown children in exorbitant suits who want of playing GI JOE, will be filled with heartache and fear to this glaring example of inhumanity. In regards to the question of which is more important, nationalism or humanity, it is set upon the shoulders of the US government to decide in this case soon. Ziyad Yaghi is not the only human waiting for a response to the elicitation in this article. If anyone in the audience agrees, please feel FREE to hit the like button on this article. Salem-News will continue to cover this story while others raise funds for the Ziyad Yaghi legal fund. Some in the international media have already been notified and stand poised with Salem News as this case is still continuing to develop and will do so until this nasty and huge transgression and quandary is corrected, for the freedom of this young innocent man. 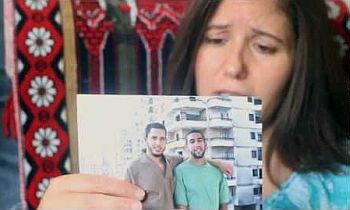 Please donate to the legal funds of this kind mother who is struggling to have another fight against the US government for her innocent son’s freedom. ثمة ذكريات محزنة محفورة عميقا في تاريخ العديد من الدول حيث الأبرياء من بينهم مواطنيها أصبحو ضحية للظروف السياسية المحيطة بهم التي لم يعد يمكن السيطرة عليها. قد وجدوا أنفسهم أو ذويهم مسجونين، وبعيدين عن موطنهم، ومعذبين، الخ .هذه هي المحن و المعاناه المأساوية البشرية التي يعانون منها بسبب العالم السياسي المعقد المؤسف بذلك أننا نعيش وسطه . ونتيجة للحرب على الإرهاب فورا في أعقاب هجمات 11 أيلول على مركز التجارة العالمي، لدينا مثل قصص مؤثرة كما سبق حيث الذعر، والخوف، والكراهية الهستيريا الجماعية بحثا عن أيديولوجية مزروع داخل عدو غير مرئي تسببت أمريكا دوما ودائما بنسيان أبرز المبادئ التي تمت اعجاب العالم كل واحد منا لعدة قرون. بسبب خلق الحرب على الإرهاب تم توليد العنصرية في الأرض _و النقاد السياسيينو المتعصبين الدينيينو التي كانت أكثر المحفزات _ لتشريب العقل الاميركي العام في العواطف الضارة والأفكار التي تتحدى تلك المبادئ التأسيسية بينما تسبب في الوقت نفسه المشاركة في أعمال الظلم على السامريون الأبرياء. حال زياد ياغي، فلسطيني اردني الاصل الأمريكية ، هو المحك الحقيقي بسببتصريحه التالي نحن الأميركيين في و نحلم مع غيرنا في العالم نحو نطمح إلى تحقيق من خلالنا طوال آلاف السنين. هذا الحلم هو ان يسوده السلام في العالم والسعي لتحقيق السعادة، قد تساوي الحياة، وامتيازات الحرية التي تمس التعايش و وكل ما خلقه سبحانه وتعالى . يرغب العالم بعدم يعترفون بانهم هم حمقى في تقاسم أحلامنا التي تشهد النفاق من الازل . وانهم لا يريدون أن يقدم إلى السلطة الساحقة من الجهل داخل أروقة الحكومة الأمريكية اليوم. الأساس الأمريكي هو سليم ونأمل أن يدوم، ويمد فيه أمل للجميع الذي به أضرار طفيفة يمكن عكسها أو تخفيفها. ومع ذلك، فإن أعمال بعض البلهاء تهدد تلك الركائز اليوم. هذا هو الطريق الذي تم السفر أمريكا والغرب بعد احداث _ 9-11. هناك النذائر أو علامات مروعة في مستقبل غير مريحه أو يرتجف من ويلات دعائم القيم الأميركية التي نحن نشهدها جميعا . تلك النذائر موجودة في ثغرات الاقتصاد واضطراب المجتمع ، والسياسة مربكة والفاسدين، وإيمانا من جمهور العالم إلى اللامعقولية من وسائل الإعلام الأمريكية والغربية، وأكثر من ذلك الذي حذر عقول الادراك ان تتكاثر قبل الحرب على الإرهاب، إلا أن هذه النصائح مشؤومة كانت ولا تزال لا يجد آذانا صاغية. زياد ياغي هو ضحية، ليس فقط لأنه بريء من التهم الموجهة إليه، ولكن لأن صمتنا يسمح بذلك. اعتقل زياد ياغي في شهر يوليو من عام 2009 مع ستة اخرين بتهمة التآمر لارتكاب الإرهاب في الخارج وقفت بالتالي محاكمة في نيو برن بولاية نورث كارولينا. زعمت الحكومة الأمريكية أن سافر إلى الأردن للمشاركة في مخطط الإرهاب. وهم يزعمون أيضا أنه قد شارك في رحلة كرات واحدة من أجل تدريب ليكون ارهابيا. بعد الضجة الاعلامية التي من شأنها أن أفضل وصفها بأنها صحافة صفراء الحديثة، أدين على معظم خادعة ومشكوك فيها من الأدلة. ونتيجة لذلك، حصل على 31 سنوات في الحبس الانفرادي في حين اتهم آخرون معه، مع أكثر الأدلة ضدهم، صدرت بحقهم أحكام أخف وزنا. رفض زياد ياغي إلى تنتهك مبدأ الإسلام الذي طلب منه أن لا يكذب ولذلك بقي صامتا عندما طالبت مكتب التحقيقات الاتحادي انه الشهادة ضد المتهم الرئيسي في هذه القضية، وهو شخص زياد بالكاد يعرف. أعيد وكالة أنباء سالم وفريق العمل فتح القضية لإجراء تحقيق مستقل وغير ظاهر. وكشف الحقائق الأكثر إزعاج وتحقيق العدالة، فهم مثيرين للاشمئزاز وطريقتهم غير حضارية. ونحن واثقون تماما هذا الشاب بريء من التهم التي وجهت له، بعد محكمة في ولاية كارولينا الشمالية، ما زال يعتبرونه و يحكم عليه مذنب. “أنا آسف ولكن هذه القناعة ينطلق كل من أجراس ، تذكرنا ‘بشجرة عيد الميلاد منفذها” من بورتلاند، محمد عثمان محمود، الذي تم إعداده من قبل العملاء الفيدراليين بالاحتيال على نظام’ جريمة ‘كاملة في المعتقدات الدينية قال . في هذه الحالة، وسائل الإعلام ومنتقدي الحكومة اتهم مكتب التحقيقات الفدرالي من استخدام فخ لإجراء الاعتقال. 2)الرجل الذي كان الأكثر إثبات ضده، زعيم يدعى دانيال بويد (كما صورت وسائل الإعلام عليه وسلم)تحول الأدلة الخارجية أثناء المحاكمة ووافق على التعاون مع مكتب التحقيقات الفيدرالي في مساومة قضائية. 2)الرجل الذي كان الأكثر إثبات ضده، زعيم يدعى دانيال بويد (كما صورت وسائل الإعلام عليه وسلم)تحول الأدلة الخارجية أثناء المحاكمة ووافق على التعاون مع مكتب التحقيقات الفيدرالي في مساومة قضائية.2)الرجل الذي كان الأكثر إثبات ضده، زعيم يدعى دانيال بويد (كما صورت وسائل الإعلام عليه وسلم)تحول الأدلة الخارجية أثناء المحاكمة ووافق على التعاون مع مكتب التحقيقات الفيدرالي في مساومة قضائية. أثناء المحاكمة وبعد هذا الاتفاق، وقال انه شهد أمام الجميع أن زياد ياغي ليس لديه علم بأي مؤامرة لارتكاب أعمال إرهابية. 3 )ذكر زياد ياغي سفره الى الأردن للزواج. رفضت حكومة الولايات المتحدة تصديق أن هذا دوافعه، بعد أن تم التحقق من روايته من قبل العروس في الأردن عن طريق المقابلة. 4) على الرغم من أن يتم تعيين زياد ياغي في الفيسبوك الملف الى القطاع الخاص، والاقتصاص العنصرية بلوق على شبكة الإنترنت تحت عنوان تقرير جاوا نشرت لقطات وصور من حساب الفيسبوك زياد ياغي و. تقرير جاوا لديها تاريخ طويل من العمل جنبا إلى جنب مع المؤسسات الإعلامية وحكومة الولايات المتحدة في اعتقال ومحاكمة الإرهابيين المشتبه بهم. حساب يوتيوب للتقرير جاوا يشير المؤلف لديه الكراهية تجاه جميع المسلمين والفلسطينيين، وحركة احتلوا، ويمكن لأي شخص أن يتحدى السياسات الخارجية للولايات المتحدة وقوص مركز الحكومة الإسرائيلية . ونحن نعتقد أن التقرير جاوا كانت ممرا لما اشتبه كثيرون ان حكومة الولايات المتحدة تفعل مع حساب الفيسبوك فيرجيني براندون روب، المخضرم في الحرب العراقية السابقة الذي اعتقل من قبل حكومة الولايات المتحدة للالتهابات حتى الآن الوطنية المشاركات الفيسبوك، وهو أننا نعتقد أن جاوا التقرير كان يتجسس على حسابات الفيسبوك مثل زياد ياغي على طلب أو في التثبت مع حكومة الولايات المتحدة. 5) في جلسة الكفالة، أعرب القاضي وليام ويب عدم التصديقه _ للأدلة التي كتبت بواسطة النيابة العامة في ولاية كارولينا الشمالية مشيرا إلى أن الكلمات الرمزية مثل “الذهاب إلى الشاطئ” و “يأمر البيتزا” لا يترجم إلى نوايا لارتكاب الإرهاب. وعلاوة على ذلك، كما علق معاليه وليام ويب علنا معارضته عن الأخذ النيابة العامة الشهادات والأدلة دون السماح الدفاع لاستجواب أو بدقة التحقيق في مصادر هذه المعلومات. الادعاء حجب الأدلة والوصول إلى مخبرين تزعم أسباب أمنية الدفاع الوطني فيما يتعلق بالحاجة لهذه السرية. كما، تم دفع ثلاثة مخبرين لمكتب التحقيقات الاتحادي 200.000دولار، وإعطائهم البطاقات الخضراء للادلاء بشهادته على الرغم من تجاوز مدة التأشيرة. في المناطق المحرومة في جميع أنحاء أمريكا، يمكن للمرء أن شراء مثل هذه المشاركة وذلك بتكلفة أقل. فمن المهم التأكيد مجددا على الأدلة أعلاه المعنية محض اهتمام الآخرين، بنسبة للنيابه فليس هناك اي شيء له أي قيمة اكبر من تقديم أدلة ضد زياد ياغي. 6) لم يكن هناك أي دليل مادي من البنادق والذخيرة، أو أي شيء ذي قيمة كبيرة وجدال لزيادة الاتهامات ضد زياد ياغي. تم العثور على كل من الذخيرة والأسلحة فقط عند زعيم المجموعة، منزل دانيال بويد. وتتعلق معظم الأدلة الآلية القانونية من ولاية كارولينا الشمالية التي توصف داخل قاعة المحكمة لدانيال بويد، تطبيق بعد كل من المتهمين لأن جوهر اتهامات الحكومة ولاية كارولينا الشمالية وكان على علاقة غير مثبتة بين زياد وغيرهم مع بويد. نفاق محاكمة نورث كارولينا غلى عامة الناس أن بويد كان زعيم الذي كان تلقين بقية، الذي وصفه الادعاء بانه المجندين الطائش وساذجة الذين لم يكن لديهم الحكمة لفورسي الآثار المترتبة على أعمالهم في المستقبل. ومع ذلك، حكم دانيال بويد 15 عاما بينما زياد ياغي 31 عاما. وذكر زياد ياغي أنه يعرف دانيال بويد لأقل من أربع وعشرين ساعة في حين صرخ آخرون انهم لا يعرفون زميل المتهمين على الإطلاق. 7) رفض محكمة ولاية كارولينا الشمالية السماح للدفاع في استدعاء العديد من الشهود لها، مشيرا إلى ضرورة ضيق الوقت لغرض تقليل كمية له الوقت المخصص لهذه القضية. دعا الادعاء أيضا إلى موقف الشهود الخبراء من المفترض الذين شهدوا على معرفتهم المصطلحات الإسلامية والعربية، في حين اعترف في وقت لاحق أنها لا يمكن أن يتكلم ولا قراءة اللغة العربية. من خلال لمحة سريعة لوائح الاتهام، وشروط الشهيد (الشاهد) و “الشهيد” (الشهيد)، “الجهاد”، و “فرض عين” تم تعريفها بشكل غير صحيح وتطبيقها. ما مدى أهمية هذه الفرضية؟ واحد الخصوم، وليس زياد، ورد في قاعة المحكمة ان الحكومة نورث كارولينا سجلت له قائلا الكلمة العربية ل “الشاهد” لكنها تترجم واستخدمت ترجمة غير صحيحة له “الشهيد” ضده. وعلاوة على ذلك، فإن هيئة المحلفين المؤلفة من كبار السن غير المسلمين أو العرب الذين كانوا غير مألوف مع كمية هائلة من المصطلحات الإسلامية والعربية وفي خلال الجلسة النيابية تم ضبطت احد محلفين كان نائم أثناء المحاكمة. 8) متهم اخر تجاهل في وسائل الإعلام، بايرام اسليني، الذي يقيم حاليا في كوسوفو بالقرب من الأمم المتحدة والمباني الشرطة كوسوفو. وتستمر الحكومة الولايات المتحدة للمطالبة تسليم المجرمين حتى انه بذلك فقد تلتقي محاكمة مع أولئك الأفراد المذكورة في هذه المقالة، حتى الآن الجماعة الأوروبية الذي لديه سلطة بحجم أكبر على مدى الحالات معظم الهامة المتعلقة إلى كوسوفو فقد رفضت هذا الطلب وعقدت العزم عدم كفاية الأدلة يتم توفيرها من قبل حكومة الولايات المتحدة ضد هذا الرجل. 9) وتفيد التقارير التسجيلات محقق المستقل أن أحد الأطراف المشاركين في الإجراءات القضائية التي صدرت تصريحات له المشاعر المعادية للإسلام في حفلة أو تجمع رسمي بعد صدور الحكم، مما يشير إلى الموقف المتحيز ضد الإسلام أثناء إجراءات المحكمة. كما، خلال عملية محكمة بأكملها، شهد العديد من الشهود أن ولاية كارولينا الشمالية وضعها الإسلام للمحاكمة بدلا من المتهمين. الادعاء تستخدم أشرطة الفيديو والصور له الجماعات الإرهابية لاظهار لجنة التحكيم مع مرة أخرى، لا يوجد دليل يثبت وجود صلة بين تلك المجموعات وبعض المتهمين. وزعم النيابة أنها أحبطت الجهود التي كتبت بواسطة المتهمين في ارتكاب الإرهاب في الخارج وكان برهان الأساسية الخاصة بهم أن المتهم له “الايدلوجية” (كما ونقل العديد من المسؤولين على جانب النيابة العامة) لارتكاب الأفعال. كان الفكر الذي النيابة دمجها مع الأدلة الفيسبوك المشاركات المناهضة للحرب انفجرت خارج السياق، وأشرطة الفيديو له تنظيم القاعدة في دول أخرى، وترجمات غير صحيحة له الكلمات العربية والرموز التي أخذت مرة أخرى خارج السياق. خلال المرافعات الختامية، التي عقدت النيابة صورة لزياد ياغي إلى هيئة المحلفين بعد عرض الفيديو والصور له تنظيم القاعدة، مع تكرار عدة مرات حرفي ببطء، “حكومة الولايات المتحدة مقابل زياد ياغي،” من أجل ترك انطباع دائم منا (الأميركيين) ضد زياد (الإرهابي). 10) جعل الحكومة الامريكية افتراض سخيف وتطبيقها بشكل غير عادل أن رحلة زياد ياغي واحد مع عدد قليل من المتهمين الآخرين للعب كرات، كان في الواقع ممارسة التدريب العسكري. 11) أن رواية مكتب التحقيقات الفدرالي في ما يخص هذه القضية أمر مشكوك فيه بشدة. في البداية، ادعى مكتب التحقيقات الفدرالي إن المتهمين دانييل بويد وعدد قليل من الآخرين ما عدا زياد، كانت تنوي استهداف قاعدة عسكرية عند كوانتيكو بولاية فرجينيا. ثم تغيرت القصة إلى الصيغة النهائية التي كانوا يعتزمون مهاجمة الآخرين في الخارج. الأسوأ من ذلك، عثر على المتهمين بما فيهم زياد ياغي، مذنبين على الرغم من حقيقة أن هدف محدد، التاريخ والوقت، والمكان لم تقدم من قبل النيابة. وبعبارة أخرى، في إجراء أن يعيد فيلم “تقرير الأقلية” بطولة عثر توم كروز، زياد وغيرهم بالذنب لعدم وجود أعمال الإرهاب أو العنف، ولكن فقط من خلال المطالبة النيابة في ولاية كارولينا الشمالية أن المتهمين قد ارتكبوا الأفعال. الحقائق المفصل أعلاه تضاف إليها المعارضة الصوتية من قبل اثنين من القضاة ينبغي أن يكون كافيا لإقناع الادراك الفكر وطيب القلب إلى إسقاط جميع التهم ضد زياد ياغي، إلى الإنسان العادي من الفكر وتغيب في القلب، يجب أن يظهر على الأقل أن تكون لم تكن فتح ظلما فادحا إذا كان هذا الحال بالنسبة لمحاكمة ثانية. “الناس بحاجة إلى الاستيقاظوأن يدركوا بأن هذه الحرب على الإرهاب هي وهمية! وهي مكونة من قبل مكتب التحقيقات الفدرالي بحيث بلدنا يمكن أن تستمر الفظائع التي يقومون به في الخارج! لا يمكن إنكار أن بعض أعضاء الحكومة الأمريكية، يحاكم المتهمين الأبرياء عمدا وبشكل ضار لتعزيز التمويل المالي والدعم المحلي الأمريكي في الحرب على الإرهاب وأيضا لتحريك مستقبلهم الوظيفي، عن طريق التلاعب والمبالغة في الحقائق يستهان بها وصغيرة، بينما يخفي آخرون ، من أجل اضطهاد مجموعة من الأميركيين الأبرياء المسلمين. ونتيجة لهذا العمل، تآمرت بشكل غير مباشر في وقت واحد وتدري مع المشاعر المعادية للمسلمين والمعادية للإسلام في بعض المشاركين في الوقت المناسب للالنيابة في هذه القضية. ونحن نرى المسار الصحيح والعادل للإجراءات، في النظر في الحقائق المذكورة أعلاه، هو إعادة فتح هذه المسألة إلى محكم غير منحازة مع هيئة محلفين الممثل الحقيقي في أقرانهم للمتهمين، مع وجود جمهور أكبر – وسائل الإعلام الدولية. خبير مكافحة الإرهاب، ايفان كولمان قال ذات مرة مع عدم وجود سؤال عن مدى صحة هذا الادعاء محددة أن أفضل ترسانة من أولئك الذين يعارضون الولايات المتحدة هي أدوات الدعاية نحن أنفسنا توريد في حالات مثل التعذيب في سجن أبو غريب، حرق المصاحف، وإطلاق سراح من الأفلام المعادية للإسلام على الرغم من عدم المعاملة بالمثل في هذه الانكسارات سافر من قبل السكان المسلمين في العالم، والمعارضة لبناء مسجد عند غراوند زيرو ترمز إلى إرادة أميركا لقبول مكوناته الأمريكية المسلمين والرغبة للسلام في المستقبل على جانبي المحيط الأطلسي، وأكثر من ذلك. نحن يمكن أن تشمل حالة زياد ياغي وحالات أخرى في النيابة وقائية إلى كومة من الآر بي جي اللفظي، الكلاشينكوف، أو أسلحة الدمار الشامل التي تتحدث عن كولمان. هذه الرسالة المفتوحة هو التهابات وتلاكمي لأنها ترفض سحب أي اللكمات. لماذا؟ وقد كشفت المقارنة بين هذه الحالة سابقة في التاريخ لمواد الدستور الأمريكي والإعلان العالمي لحقوق الإنسان بأن هناك انتهاكات جسيمة لعقائده وجدت في حالة ياغي زياد. إذا استمرت حكومة الولايات المتحدة للسماح لهذا لعنة لمبادئها للراحة غير مختصرة، ثم الضرب القلوب والنفوس شعور في العالم، والبشر إرهابية أو غير إرهابية في جميع أنحاء العالم، وصفت بأنها مثل هذه الانقسامات أو فئات من الناس وفقا لنوع زرادشت المانوية وسيتم ملء عقلية الأطفال متضخمة في الدعاوى باهظة الذين يريدون اللعب GI JOE، مع الحزن والخوف إلى هذا مثال صارخ على الوحشية. في ما يخص السؤال الذي هو أكثر أهمية، القومية أو الإنسانية، يتم تعيينها على عاتق الحكومة الأمريكية لاتخاذ قرار في هذه القضية قريبا. زياد ياغي ليس الانتظار الإنسان فقط للاستجابة لالاستنباط في هذه المقالة. إذا كان أي شخص يوافق، يرجى لا تتردد في الضغط على زر مثل على هذه المادة. سوف سالم نيوز تستمر في تغطية هذه القصة في حين أن آخرين جمع الأموال لصالح الصندوق ياغي القانونية زياد. وقد تم بالفعل إخطار البعض في وسائل الإعلام الدولية والوقوف تستعد مع سالم أخبار حيثهذه الحالة لا تزال مستمرة في التطور وسوف تفعل ذلك حتى يتم تصحيح هذا التجاوز سيئة وكبيرة ومأزق، من أجل حرية هذا الشاب البريء.